Is this chip the high-speed internet breakthrough we’ve been waiting for? Australian researchers are one step closer to creating next-gen optical technologies – essential components for a high-speed internet. A team from RMIT University has created a breakthrough chip for the nano-manipulation of light, paving the way future development of a high-speed internet. Not only does this lay the foundation for the future ultra-broadband Big Data industry and providing a new platform for the next industry revolution, but the research also offers a precise new method for improving scientific knowledge of black holes. 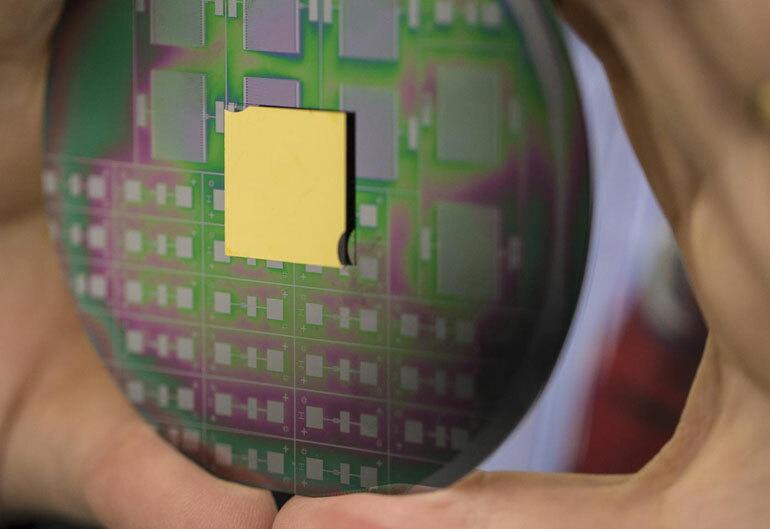 Led by Professor Min Gu, the team designed an integrated nanophotonic chip that can achieve unparalleled levels of control over the angular momentum (AM) of light. The pioneering work opens new opportunities for using AM at a chip-scale for the generation, transmission, processing and recording of information, and could also be used to better understand the evolution and nature of black holes. A key focus is the potential of using AM to enable the mass expansion of the available capacity of optical fibres through the use of parallel light channels – an approach known as ‘multiplexing’. But realising AM multiplexing on a chip scale has remained a major challenge, as there is no material in nature capable of sensing twisted light. Lead author Haoran Ren, a PhD candidate at Swinburne University of Technology, said: “If you send an optical data signal to a photonic chip, it is critical to know where the data is going, otherwise information will be lost. Gu, Associate Deputy Vice-Chancellor for Research Innovation and Entrepreneurship at RMIT, and Node Director of the Australian Research Council’s Centre for Ultrahigh-bandwidth Devices for Optical Systems, said the work offered the possibility of full control over twisted light, including both spin angular momentum (SAM) and orbital angular momentum (OAM).